According to Matt Endo, of Marscuba, the PT-013 model number has been given to the housing for the D-150 digital camera. The new housing is rated to 40 meters. Aquatica's aluminum housing for the Nikon Coolpix 995 Digital Camera. A Canon D60 Digital SLR arrived at Jim Watt's place in Kona last week, and Jim and Eric Cheng eagerly stuffed it into UK Germany's D30 housing to find that it was a near perfect fit! The two cameras are nearly identical externally, so this was not a big surprise. The only button that is inaccessible is the on/off switch, but access to that button isn't crucial while underwater. 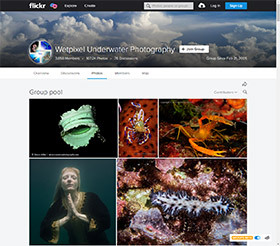 Eric has been shooting with the D60 underwater for a few days now; you can see some images at his kona/maui travel site. All images taken on and after April 4th are likely to be from the D60. Aloha! Professional underwater photographer Stephen Frink presents the definitive Seacam D1x Housing Field Journal and Operator's Manual. Also included are sample photographs.